Jack Lesmana was born with the name of Jack Lemmers from the father of a Madurese and a mixed mother of Javanese and Dutch. He used the name "Lemmers", following his father's name adopted by a Dutchman. Jack's father is a violin fan, while his mother had been a singer and dancer in the Miss Riboet opera group. At the age of 10 years Jack has been good at playing guitar. Two years later he became acquainted with jazz music by playing in a Dixieland music group. 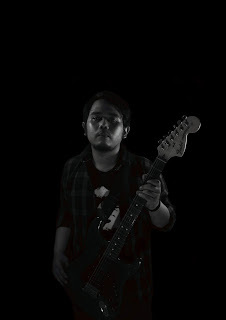 At the age of 15, he once joined as a guitarist for Berger Quartet music group consisting of Berger (piano), Putirai (drums), and Jumono (bass). He also plays boogie-woogie with Boogie-Woogie Rhytmics with musicians including: Micki Wyt as leader and piano player, Oei Boeng Leng (guitar), Jack Lesmana plays (bass) and Benny Heynen (clarinet). Afterwards with Maryono (clarinet), Andy Sayifin (alto saxophone), Lody Item (guitar, father of Jopie Item musician), Suwarto (piano), Tuharjo and Kadam (trumpet), joined the band Irama Samudra. Then with Maryono and Bubi Chen, Jack Lesmana founded the Jack Lemmers Quartet, later renamed Jack Lesmana Quintet. This last name is often raised parenting jazz music program in RRI Surabaya. In 1951 Jack was accepted to work in the Navy of the Republic of Indonesia. Her daily duties were to uniform the employee uniform. Where he worked, Jack joined the music group led by R. Iskak, the father of Indriati Iskak and Alice Iskak. A few years later, in 1960, at the invitation of Wim Gontha, Peter F. Gontha's father, Jack left for Jakarta. He was accepted as a recording technician at PH Irama's company Suyoso Karsono (Soejoso Karsono) aka Mas Yos, a retired Air Force RI. 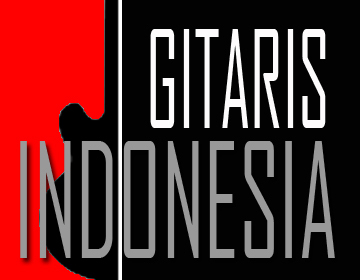 This is the first record company in Indonesia. Jack joined the Gema Irama music group. In the 1960s, according to President Soekarno's suggestion of Indonesianization of names, Jack changed his name to Jack Lesmana. Not only that, the relationship between Bung Karno and Jack Lesmana can even be called close. Especially at that time Bung Karno was incessantly devouring ngak-ngok music that is considered a decadent Western products. Culture movement that is intensified Bung Karno is activating music that is considered to represent the Eastern cultural manners that is the rhythm lenso. Jack Lesmana also interpreted and played the lenso rhythm with the group he led at the time, the Orchestra Irama. The group also supported Mas Yos, owner of Irama Records recording company, and released the album Mari Bersuka Ria with Lenso Rhythm in the 1960s to compensate for the torrent of Western culture represented by rock and roll music. 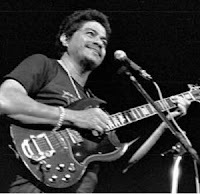 In the album the Irama Orkes accompanied the top singers of the time, such as Bing Slamet, Titiek Puspa, Lilis Suryani, and Nien Lesmana, sister of Mas Yos who is also the wife of Jack Lesmana.In Jakarta, Jack's career seems to be increasingly flown along with the jazz music scene enliven the entertainment venues such as cafes or bars. He socialized widely among the jazz community. His best friends include Mus Mualim and dedengkot The Jazz Rider, Bill Saragih.